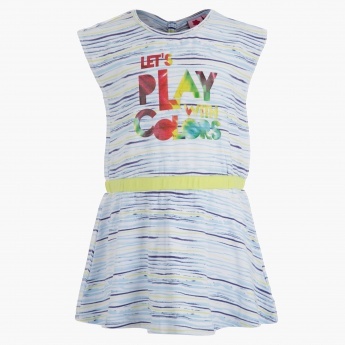 Soft and comfortable, this long t-shirt is an ideal pick for your little princess. 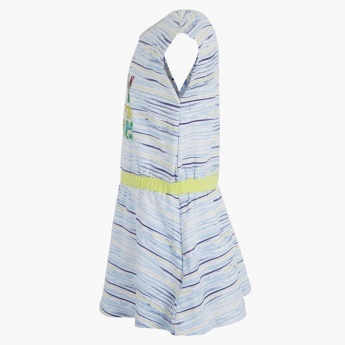 Featuring attractive stripes all over, this top has a colourful text print on the front that looks classy. 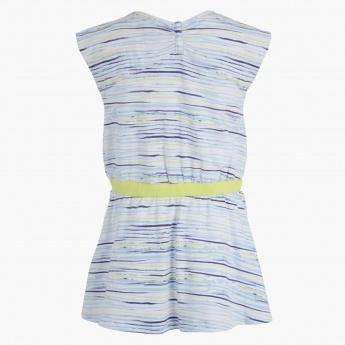 The contrast-coloured waistband makes it a lovely pick.